It’s gonna be short and sweet this week. I gained 3 pounds. I was a bit upset about that but it is what it is. It’s my cycle week and on weigh day, I was on day 3- 4. I’m bloated and retaining water and emotional. That’s all I have to say about that. I decided to take a cue from my girl Kristi over at Sew Right Journals and make a specific, workable list of things I plan to accomplish in 2015. I figure if I am specific and I share, the more accountability I’ll have. I found a book to help me with my goal of daily journaling and weekly blogging I’m already a week behind…LOL!). 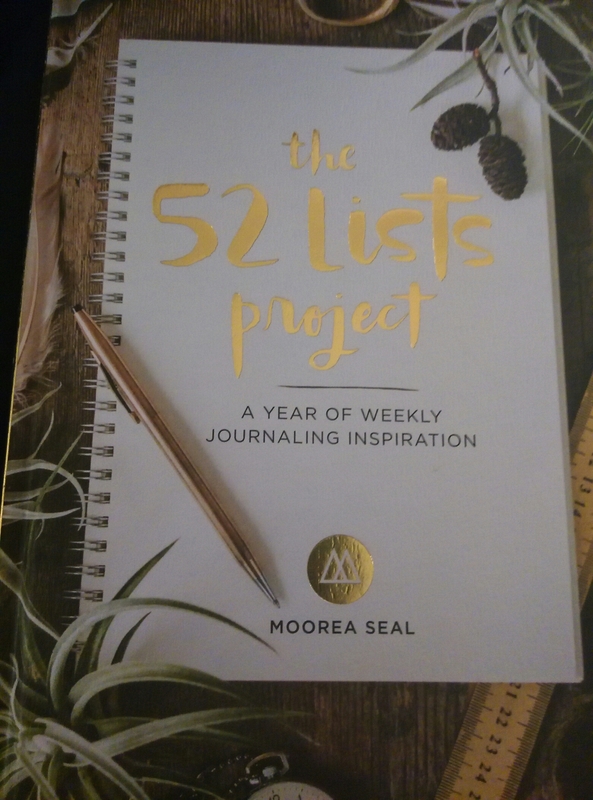 It’s called The 52 Lists Project: A Year of Weekly Journaling Inspiration by Moorea Seal. 7.) 30 min of aerobic exercise 3x/weekly. 8.) Create a website for my business and try to book at least 6 weddings this year. 9.) Plan a girls night every other month to stay connected with my friends. 10.) Plan a night out alone once a month. Take Action: what is the first step toward achieving your biggest goal? Pick one thing you can do this week to get started!